As everything from immigration, airport security and road tolling become headline news, the need to understand mobility has never been more pertinent. Yet ‘mobility’ remains remarkably elusive in summary and definition. This introductory text makes ‘mobility’ tangible by explaining the key theories and writings that surround it. 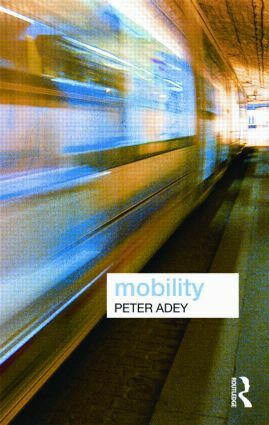 This book traces out the concept of mobility as a key idea within the discipline of geography as well as subject areas from the wider arts and social sciences. The text takes an interdisciplinary approach to draw upon key writers and thinkers that have contributed to the topic. In analyzing these, it develops an understanding of mobility as a relationship through which the world is lived and understood. Mobility is organized around themed chapters discussing – 'Meanings', 'Politics', 'Practices' and 'Mediations', and the book identifies the evolution of mobility and its implications for theoretical debate. These include the way we think about travel and embodiment, to regarding issues such as power, feminism and post-colonialism. Important contemporary case-studies are showcased in boxes. Examples range from the mobility politics evident in the evacuation of the flooding of New Orleans, xenophobia in Southern Africa, motoring in India, to the new social relationships emerging from the mobile phone. The methodological quandaries mobility demands are addressed through highlighted boxes discussing both qualitative and quantitative research methods. Arguing for a more relational notion of the term, the book understands mobility as a keystone to the examination of issues from migration, war and transportation; from communications and politics to disability rights and security. Key concept and case-study boxes, further readings, and central issue discussions allow students to grasp the central importance of ‘mobility’ to social, cultural, political, economic and everyday terrains. The text also assists scholars of Geography, Sociology, Cultural Studies, Planning, and Political Science to understand and engage with this evasive concept.